​There is no "official" definition of Freemasonry, and many masonic writers have given it different definitions. Most would agree that Freemasonry is an organization whose members are concerned with moral and spiritual values, self-improvement, and helping their communities. Freemasonry is open to men of any race or religion who believe in a Supreme Being and who are judged to be of good reputation and character. For it is the inner qualities of man that are important not external characteristics such as wealth or poverty. Freemasonry does require a belief in a Supreme Being but it is not a religion or a substitute for religion. Freemasonry embraces the basic idea of allowing every man to think for himself and expand his knowledge. Thus Masonic lodges have been a meeting place for men of open minds; Voltaire, Mozart, and many others. 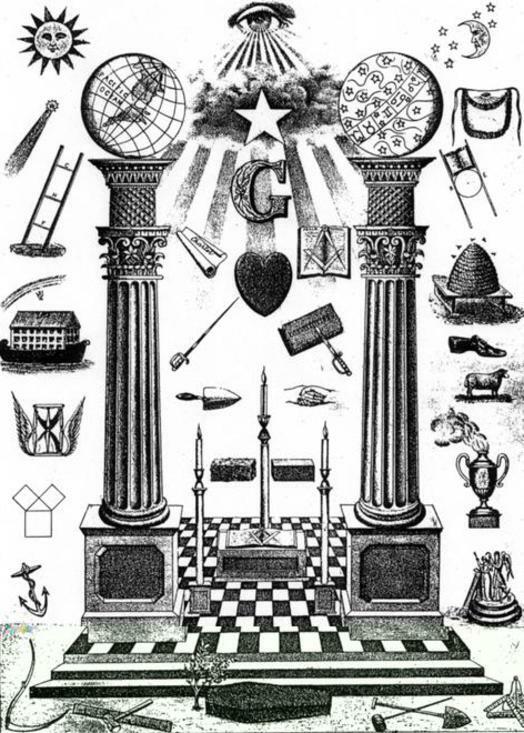 No one knows exactly when or how Freemasonry began but the oldest written records date to 1390. The modern form of Grand Lodges and Lodges began in 1717, in London. That was the Age of Enlightenment, when individuals started to search for truth rather than accept what others told them to think. Thus Benjamin Franklin, George Washington, and other Founding Fathers of the United States, were Masons, and the ideals of masonry and those of the United States are similar: freedom of speech, religion, and thought.